AP BIEP (Board of Intermediate Education) will announce 1st, 2nd Year Intermediate results on 13th April 2017 at 12.00pm. Students who appeared for MPC / Bipc and planned to participate in Eamcet 2017 Examination can check their estimate eamcet rank on Eamcet Rank Estimator. in eamcet exam their is 25% weightage for Eamcet final rank. Official date for the AP inter First year, Second year results 2017 AP Junior inter results 2017 are going to be declared in the Month of April 13th 2017 @ 12.00 noon As Per Reports Results Released by Ganta Srinivasa Rao Garu As per the information from the Board of Intermediate Education BIEAP. Students who have appeared in AP Intermediate exam 2017. to Know their results. This result is very important as it paves the way for various hosts of degree programs. The vitality of this result is clearly demonstrated by the huge volume of candidates that take part in the exam every year. 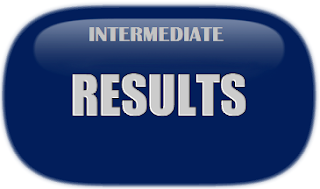 The results of the AP Intermediate 1st year/2nd year 2017 the results can be available at its official website. Tags: Inter Results, AP Inter Results, AP Results, Intermediate Results, 1st year, 2nd year, 1st year results, 2nd year results. PGECET conducted by Osmania-University, PGECET-2014 Entrance held from 26th-May 2014 to 31st -May 2014. PGECET results scheduled to release on 16th June 2014. PGECET convener officially release the results on 16th of this month. The PGECET web-counselling will be started from 21st-July-2014. PGEC 2014 counselling will be held before the PGECET counselling. The candidates who appeared and qualified in GATE or GPAT will attend the counselling first after the PGECET qualified candidates can choose the remaining seats in all M.Tech - M.Pharmacy colleges in various courses. Tags: PGECET Results, PGECET Rank Card, Download Rank Card, Download PGECET Results, Results Released, PGECET 2014 Results, PGECET 2014 Rank Card. ICET 2014 results released today i.e. 9th-May-2014. Students can download their rank card from apicet.org.in. The web counselling dates will be released soon. we will update you the counselling details soon. Ed.cet exam held on 30th May 2014. The exam key will be relesed soon by the edcet convenor. we are trying to provide the key prepared by the experts. On friday 30-may 1,49,026 candidates appeared for edcet examination but 1,66,167 applied for edcet 2014. 89.7% candidates appeared for edcet exam. Edcet examination conducted on 349 centers across andhra pradesh. Here you can download Edcet answers Key for social studies. Edcet 2014 answers key prepared by experts, please consider that the edcet convener key is final. This key only for the marks estimation. Edcet 2014 social studies key for code A B C D.
Polycet (formerly apceep) web counselling notification released. Students who appeared to polycet in 2014 and qualified can apply for web counselling to get admissions in reputed polytechnic colleges in andhra pradesh and telangana. The complete notification regarding polycet web counselling may download from the below link. Certificate verification for students who are going to participate on web counselling from 9th-June-2014 to 16th-June-2014. The complete dates for certificate verification given below. 1. Govt. Polytechnic for Minorities, Guntur. 2. Govt. Polytechnic for Minorities, Kurnool. 3.Govt.Polytechnic for Minority (Women), Badangpet, Hyderabad. in POLYCET-2014 need not apply. Polycet entrance for admissions into polytechnic colleges for various diploma courses like ece, eee, mechanical, cse, pharma etc. On 31st May 2014 polycet results will be released. Students who appeared for polycet 2014 may download rank card from polycet websites dteap.nic.in, sbtetap.gov.in, apceep.nic.in. Please use the following links to download the polycet results and download rank cards. JEE 2014 Advanced Examination held on 25th May 2014. In India nearly 1,50,000 students qualified for JEE Advanced examination. JEE 2014 Advanced exam answers key and question papers with solutions by top IIT coaching institutes like Allena Kota, Resonance, Akash IIT JEE, FIIT JEE, Time education. Admission procedure to Under Graduate Engineering Programs at NIT's, IIIT's, Other Centrally Funded Technical Institutions, Institutions funded by participating State Government, and other Institutions shall include the performance in the class 12th or equivalent qualifying Exam and in the Joint Entrance Examination JEE (Main). The Paper-1 (B. E./B. Tech.) of JEE (Main) will also be an eligibility exam for the JEE (Advanced), which the candidate has to take if he/she is aspiring for admission to the under graduate programs offered by the IIT's. The States of Gujarat, Maharashtra, Nagaland & Odisha have joined J.E.E. (Main) system. Therefore, the students seeking admission to the institution in these states, which were earlier admitting based on their State Level Examination, are also advised to fill in the JEE (Main) - 2014 application form online. Kakatiya University released UG results for courses BA / BSC / BCOM / BBM and all years (1st, 2nd, 3rd). Check the course wise and year wise results.